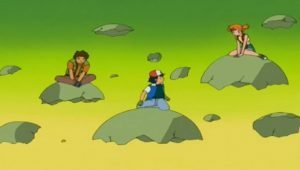 Now that they have finally gaining Larvitar’s trust, the group head towards the Pokémon Reserve on Mt. 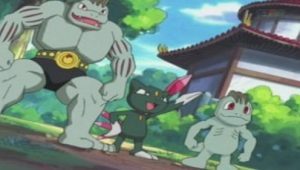 Silver, as led by Larvitar. 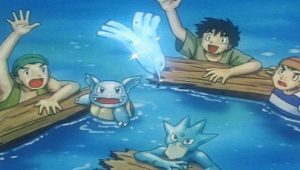 While crossing the bridge onto the reserve, the group does not realize they are being watched by three poachers, Braggo, Blurt, and Chico, who are inside a submerged submarine! 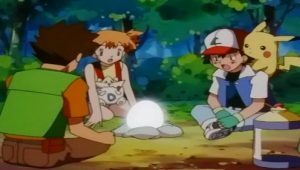 Ash, Misty and Brock come across a roar in the distance, which belongs to a Tyranitar. 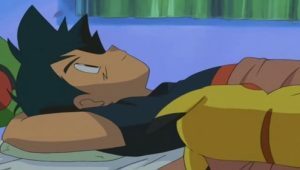 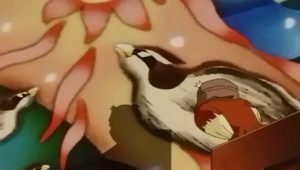 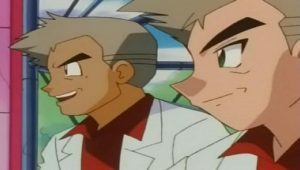 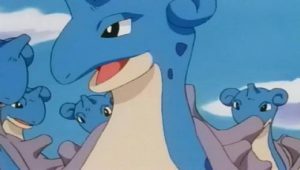 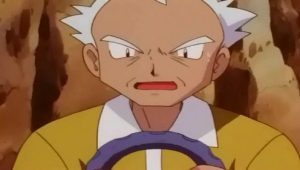 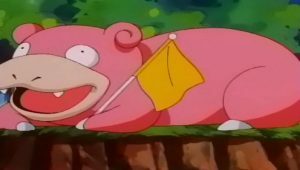 Brock notices its scar, which matches the scar from Larvitar’s dream, proving that this is indeed its mother. 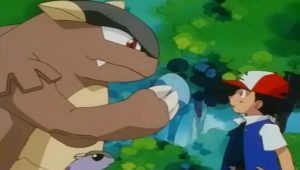 When Ash nudges Larvitar over to meet its mother, Tyranitar misinterprets the gesture and fires a Hyper Beam right at them! 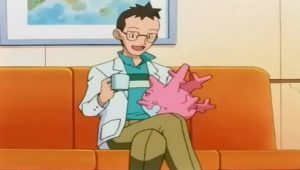 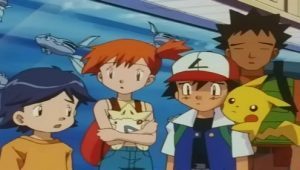 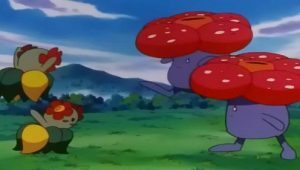 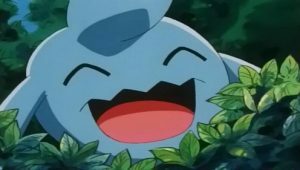 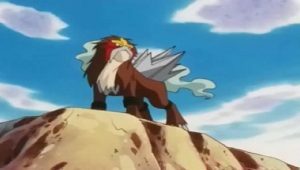 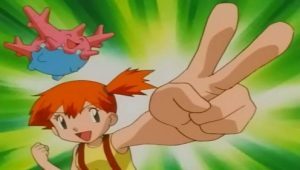 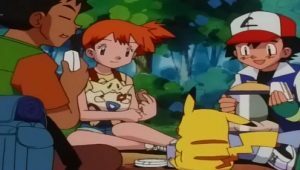 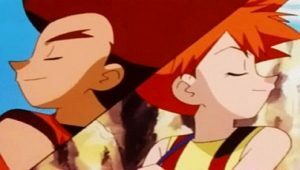 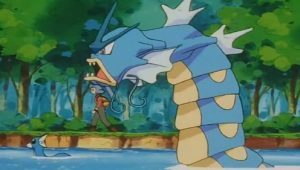 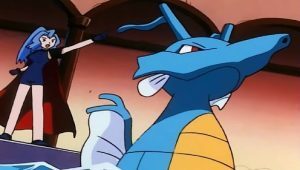 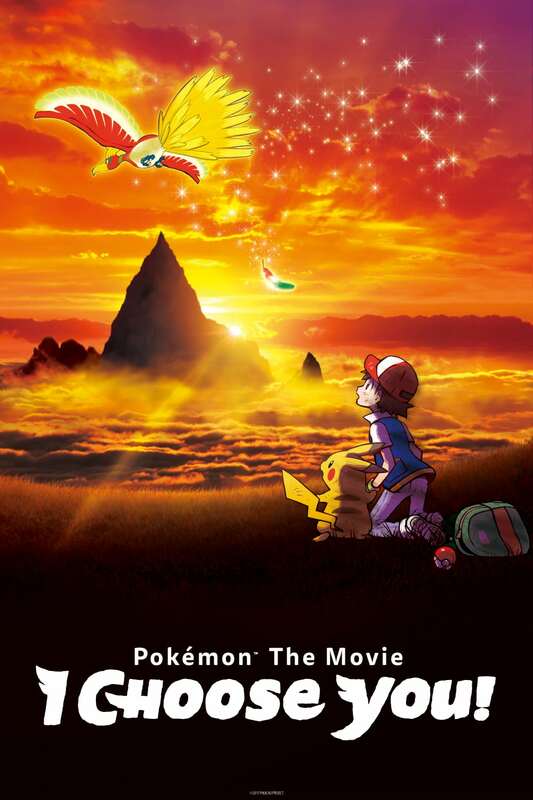 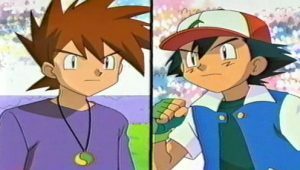 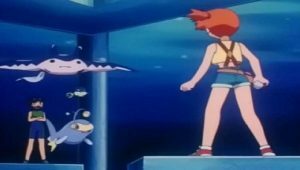 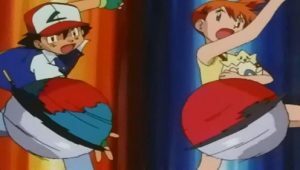 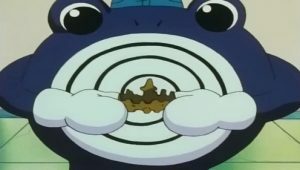 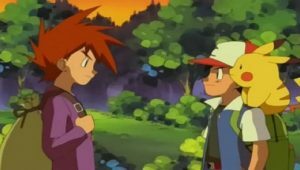 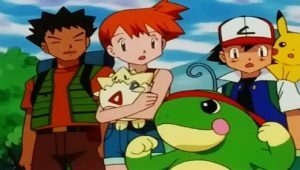 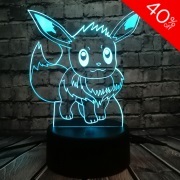 It believes Ash, Brock, and Misty are the original poachers, and chases after them in a fit of rage; the problem is enhanced by Larvitar, as it refuses to leave Ash behind! 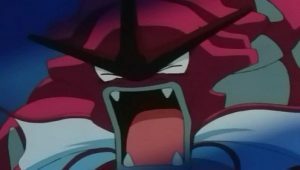 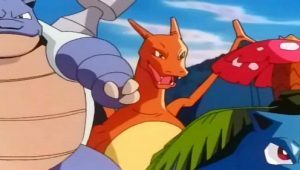 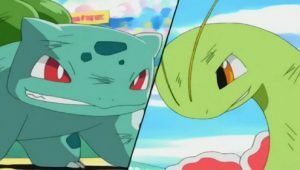 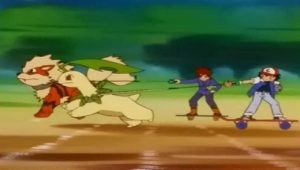 Larvitar’s Screech snaps Tyranitar out of it, as it realizes that Larvitar is its baby, and that Ash, Brock, and Misty pose no threat. The threat arrives soon after, as the poachers return, trying to capture Tyranitar by trapping it in a Pokébag! 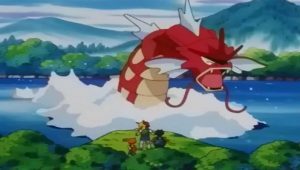 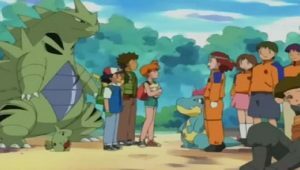 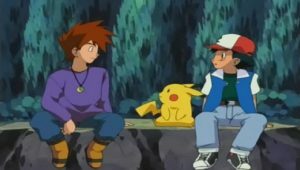 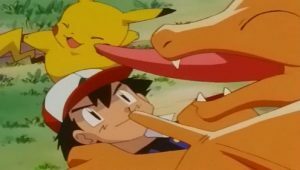 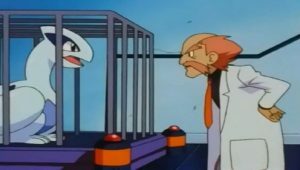 Ash recognizes the poachers from Larvitar’s dream, and immediately tries to get Tyranitar back. 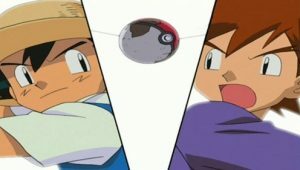 When the poachers hear Ranger Mason approaching, they trap Ash in one of their bags and head off. 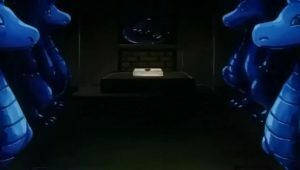 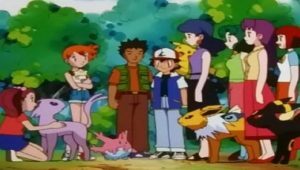 Brock calls out Crobat to follow them, while charming up Ranger Mason. 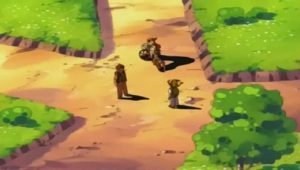 Mason informs them that they took the wrong road, as had they have not crossed the bridge, they would have made it right to the Preservation Center. 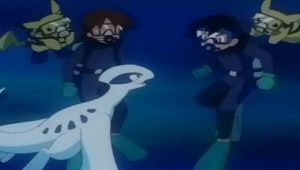 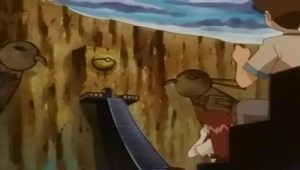 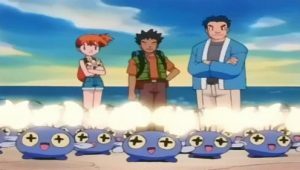 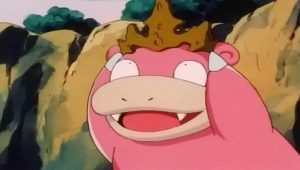 As they work on finding the poachers, Team Rocket beat them to it and ask Braggo if they can join them. 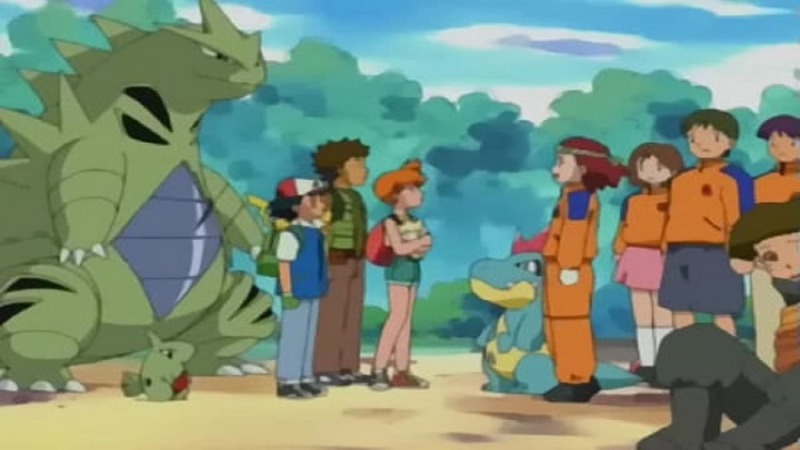 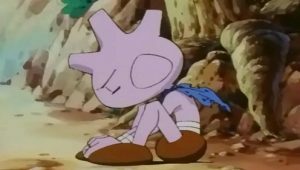 Braggo accepts, giving Jessie and James the packing machine in order to draw attention elsewhere, leaving an opportunity to escape with Tyranitar. 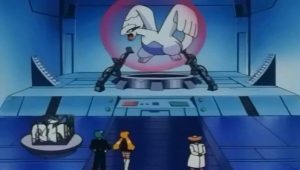 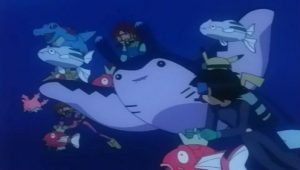 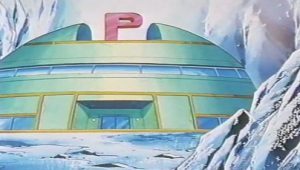 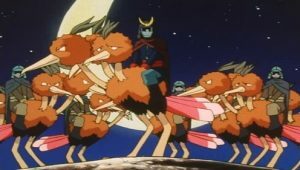 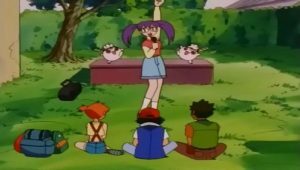 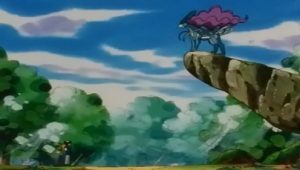 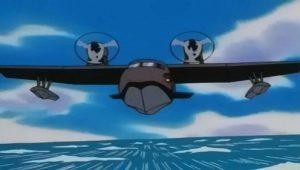 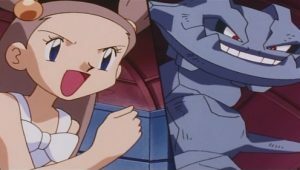 Crobat reports back to Brock, giving Ash and crew an idea of where the poachers are hiding, but come across Team Rocket instead. 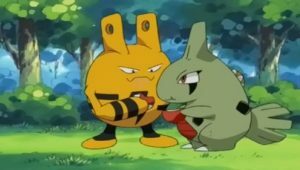 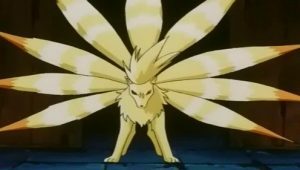 Pikachu and Croconaw work together to redirect their attack, blasting Team Rocket off, while the poachers activate their poaching machine by remote to grab Croconaw and Pikachu! 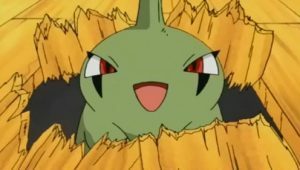 Larvitar uses its Screech to awaken Tyranitar, who uses its Hyper Beam to break their remote control. 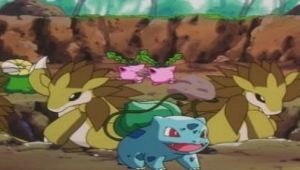 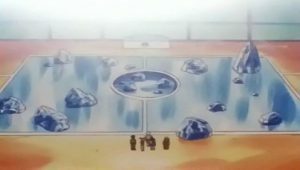 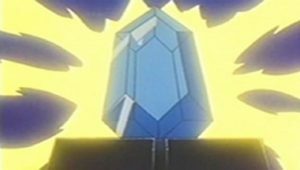 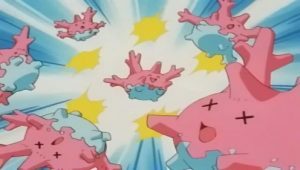 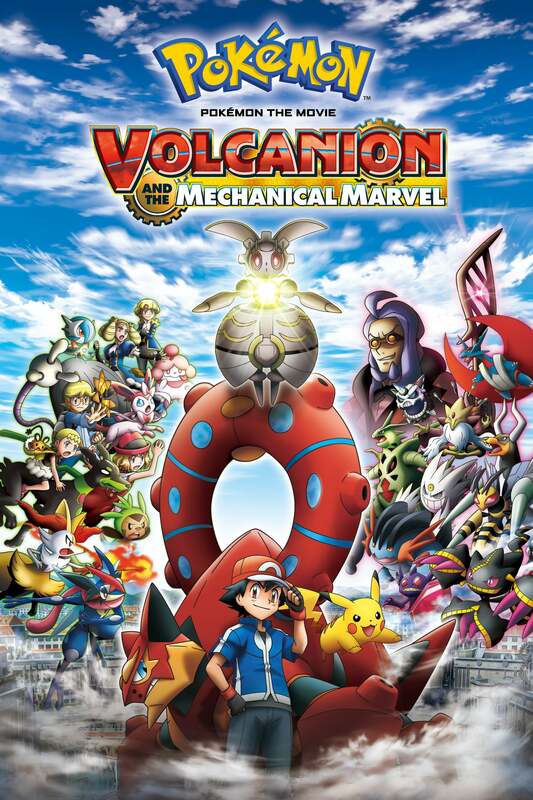 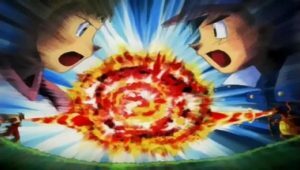 The bags break, freeing Tyranitar and the others, while a combined attack from Tyranitar and Larvitar destroy the machine, and free Pikachu and Croconaw. 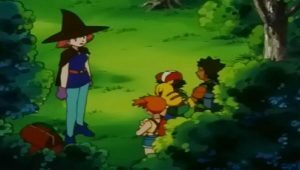 Ranger Mason thanks Ash and friends for the help catching the poachers, but Ash puts the thanks all on Larvitar’s head. 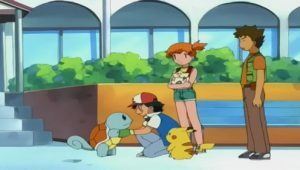 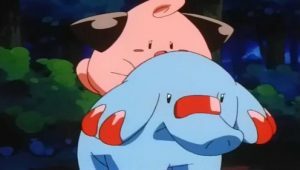 Finally reunited with its mother, Larvitar remains at the Reserve, while Ash, Misty, and Brock head towards Silver Town!